With this Tipper Truck add-on for the :MOVE mini for the BBC micro:bit, everyone's favourite little programmable robot buggy just got much better. Robots often do more than just :MOVE from A to B, and with this add-on so can :MOVE mini. 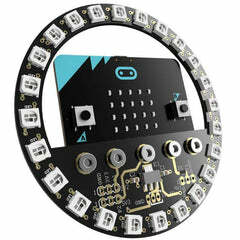 Previously on :MOVE mini, we; drew shapes, controlled it via bluetooth, controlled it with a second micro:bit, and we also coded a variety of light shows. Now, it can totally carry and dump stuff too! 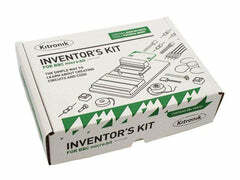 This self-assembly Tipper Truck add-on kit is made from the same materials as :MOVE mini, designed in keeping with the :MOVE mini aesthetic, and also comes with the servo required to move the Tipper Truck trailer up and down. There is a very simple Servo:Lite board hack that enables the control of the third servo, you can find out how here. Once the kit is fully assembled, the Tipper Truck can be coded with the Microsoft MakeCode Editor. 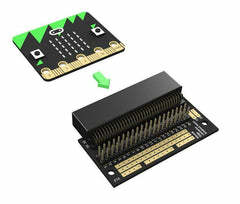 Use the radio function and a second micro:bit as a controller. 1 x Set of Tipper Truck parts. 8 x M2 6mm Pan head steel screw. 5 x M2 16mm Pan head steel screw. 8 x M2 Hex Full-width nut. 2 x 6mm Countersunk M3 screw. 2 x 10mm Countersunk M3 screw.